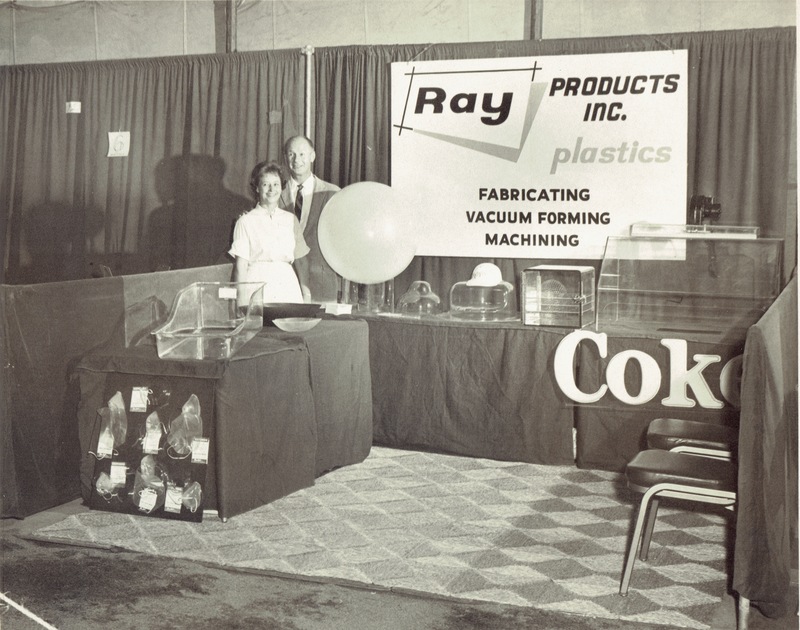 On April 1, 1949, Allen Ray and his wife, Peggy, opened the doors of Ray Products in Alhambra. At the time, Ray Products was a 1,000 sq. ft. custom fabrication shop that produced plastic baby bassinets. Why plastic baby bassinets? Allen had posited—correctly, as it turns out—that clear plastic bassinets would make it easier for hospital staff to monitor many newborn babies at once. If Allen and Peggy came back today, they might be surprised by what Ray Products has become over the last seven decades. Almost 50 of their original workshops could fit in our current 48,000 sq. ft. manufacturing space in Ontario. I can’t imagine what they’d think of our 6-axis robotic trimmers, but I know they’d appreciate our state-of-the-art thermoforming equipment that enables us to produce high-quality, customized plastic parts used worldwide in industries like medical devices, transportation, green energy, automotive, building and construction, and recreational equipment. I’m also confident they’d recognize the qualities that earned them success all those decades ago: innovation, perseverance, and a fierce commitment to doing things the right way. They’d see and deeply appreciate employees who give us their best—staying with us for 10, 20 and sometimes even 50 years. They’d be delighted to discover how many of our customers and suppliers know the value of a handshake, know quality when they see it, and make a point to invest in our country by seeking out domestic manufacturing partners like us. Allen and Peggy Ray, who founded this company with the values that still propel us today. Their son Bruce, who led the company through 20 years of incredible growth with determination and gumption. The dedicated employees who have given us their time, talent and hard work. The customers and partners who have given us the opportunity to earn—and keep—their trust and support. A commitment to innovation and a near-pathological obsession with getting it right (or so I’m told). Here’s to the next 70.